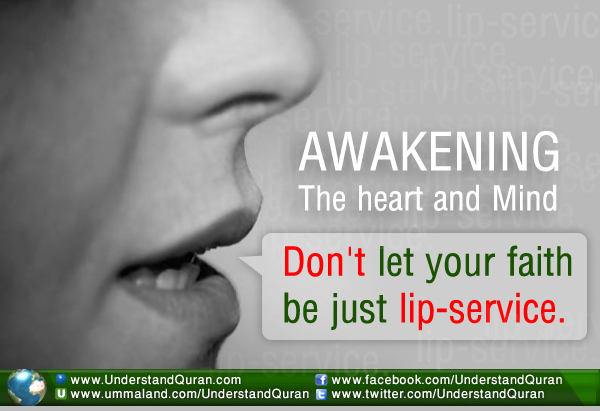 Indeed, the best speech is the speech of Allah (swt), and the best guidance is the guidance of Muhammad (saw). For Muslims it is common knowledge that faith in the akhirah (eternal life after death) is essential. Through the beauty and eloquence of the words of the noble Quran, we must awaken our minds and our hearts; we must not let our faith be just lip-service. Faith should come from the heart in submission to the Lord of the Alamin. What Do We Do With Faith? Will Allah accept me to His Paradise through His mercy? Am I fulfilling them to the best of my ability? So, what are the best of deeds? And why must we do the best— why not simply do good or satisfying deeds? Allah (swt) informs His slaves through His intense mercy that He will divide us into three separate groups. Further, He tells us that life and death are merely tests to compel us to compete for the best. Compete for what? Not money. Not status. Not houses. Rather, we have to sincerely strive to compete in doing the best of deeds that will please our Creator. When you realize that your Lord, the One Who gave you life, will be pleased with you and favor you among His creations, surely you’ll compete for nothing except deeds— deeds that are sincere, purely done for the countenance of Allah and in the best manner. Referring back to what the Most Merciful says in surah Waqiah, you’ll be among the best of the three groups, the Sabiqun, the ones brought near to the Almighty. Surely you’ll be accepted to Jannatun na’im. Jannah or Jahannam? You Choose the Path! Now, it’s up to you whether you want to follow their footsteps or follow the ways of those whom Allah favoured the most— the prophets, the martyrs, the truthful, and the righteous. Which of the three groups do you want to be rejected from and which group do you want to be accepted into? You choose. Listen to surah Waqiah with the translation you understand the best. Contemplate and ponder the inspiring verses. Lastly, we have to realize, dear brothers and sisters, that we are all creations of Allah (swt). We are weak. We can do nothing except with the help and permission of Allah (swt). He knows we’re weak but the ones whom He loves and favours the most among His creations are the ones that constantly turn to Him, put their trust only in Him, ask only from Him, and patiently strive. May Allah make our task easy and make us among His favoured slaves. Ameen. Munira Idrees is a sister living in London. Mwanaheri April 11, 2013	Log in to reply. Assalam aleikum dear sister, may Allah reward you highly for the teachings and may he bless you always. Mohamed Idrees April 11, 2013	Log in to reply. Masha Allah, Really awakening message been delivered to re-energize towards to starts best deeds In sha Allah constantly……..
fauza April 11, 2013	Log in to reply. Asalamu Alaiykum, asante kwa mada nzuri Na mwenyezimungu awalipe siku ambayo hakuna msaada isipokuwa wake. Ila kiswahili chenu ni kigumu sana lkn ni kwasababu ni lugha ni ngeni kwenu. Huma April 11, 2013	Log in to reply. Davosha April 11, 2013	Log in to reply. As salaamu aliakum , Jazakullah sister this is a very fruitful and inspiring article. It makes me want to search out a better understanding of the best group and compete to be in that group for the pleasure and rewards of Allah. Tanko Mayo April 20, 2013	Log in to reply. Jazakallau khairan sister for writing this piece, may Allah(SWT) reward you, ameen. Shirin May 28, 2013	Log in to reply.